Our Mission is to help people in our area who need care and social services. 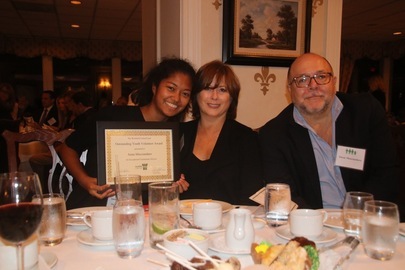 Our Purpose is to fund quality programs provided by independent agencies approved by the Westfield United Fund. We strive to identify unmet needs and to support programs and services that address the needs of individuals, families, teens, children, and seniors, including those with physical and psychological disabilities. Our Goal is to be a community resource for residents in need as well as those looking for ways to give back. 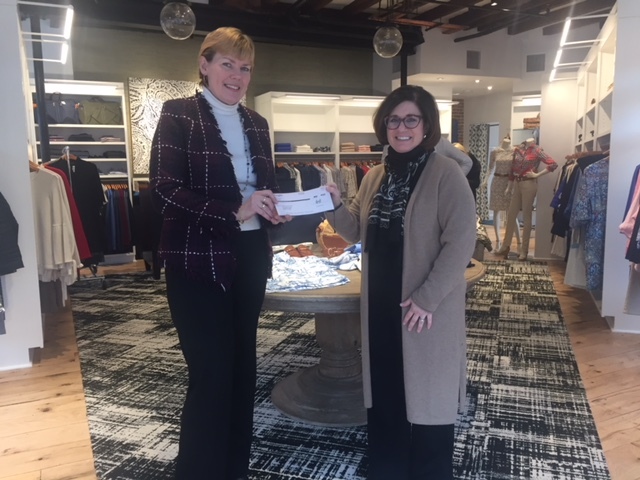 Terri Dionisio, Manager of J. McLaughlin's Westfield store, presents Executive Director Deirdre Gelinne with a check for $970, representing 15% percent of the sales during their Grand Opening party. We are delighted to welcome J. McLaughlin to the neighborhood, and thank you for the generous donation! 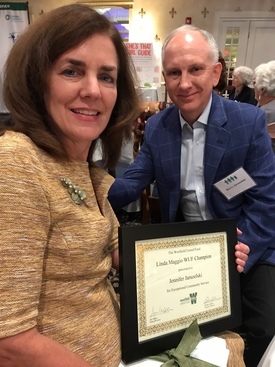 Jenny Jaruzelski, seen above with her husband, Barry, received the first Linda Maggio WUF Champion Award, in recognition of her tireless efforts on behalf of the WUF. 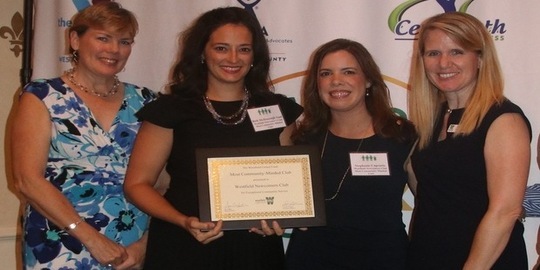 She is pictured receiving the award below, flanked by Executive Director Deirdre Gelinne, Westfield Mayor Shelley Brindle, and WUF Board President Jon Walker. We are grateful for all you do, Jenny! 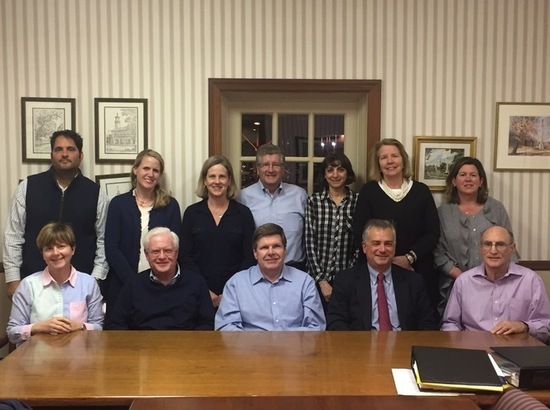 Many thanks to the members of our Fund Distribution Committee for their hard work! 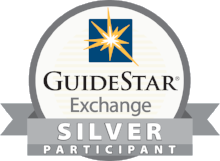 This group does the due diligence for the WUF, examining the programs we are asked to fund, and determining the best use for your charitable dollars. That's the WUF Difference. Back row: Greg Blasi, Carrie Sumas, Jessica Stewart, Mark Lynch, Denise Ricci, Bernadette Houston, Ginny Malley. Front row: Carolyn Tenney, Denis Sullivan, Bob Gallagher, Mark Ukrainskyj, Mike Feldman. Not pictured: Jane Collins. Thanks to all of our WAVE Participants! WUF recently sponsored our fourth annual Westfield Area Volunteer Expo (WAVE) at the Westfield Area Y’s Bauer Branch. This community open house offers residents an easy way to get information about volunteer opportunities at local non-profit organizations. We are grateful to the participating organizations, which included agencies of the Westfield United Fund, such as ARC of Union County, Boy Scouts Patriots Path Council, Caring Contact, CASA, Community Access Unlimited, Homefirst, Literacy New Jersey, Mobile Meals of Westfield, the Westfield Area Y, and YWCA Union County, as well as outside organizations such as the College Woman's Club of Westfield, the Downtown Westfield Corporation, EZ Ride, Furniture Assist, the Greater Westfield Area Chamber of Commerce, Habitat for Humanity, Imagine, Jersey Cares, the Westfield Food Pantry, the Westfield Historical Society, the Westfield Kiwanis Club, the Westfield Rotary Club. and the Westfield Volunteer Rescue Squad. Photo: WUF Staffers Nancy Vickers, Deirdre Gelinne and Susan DiIorio at the WAVE. 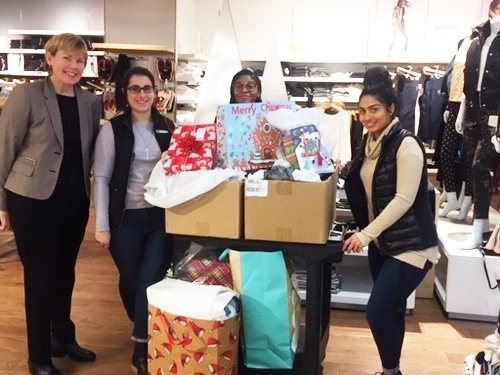 We are so grateful to the staff at The GAP in Westfield, which partnered with us to make a local family's Christmas dreams come true! This family has fallen on hard times after the death of the husband/father of three children, and The GAP supplied the items on the children's Santa list. Thanks to their generosity, this family will have something to smile about this year! 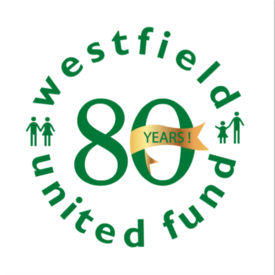 You, too, can make dreams come true for local families by supporting the Westfield United Fund. For 80 years, we have been helping local people in need. Your support makes a real difference in people's lives throughout the year. 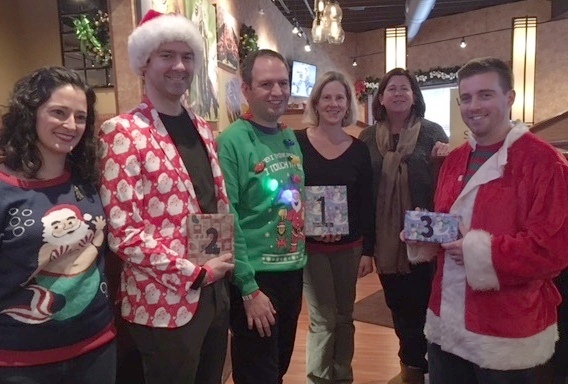 Many thanks to Beth McDonough Saad and her friends in the Newcomers Club, who raised money for the WUF during their first annual Ugly Christmas Sweater Bar Crawl! We look forward to continuing the tradition with them next year! Photo: Beth, at left, with Ugliest Sweater winners Ed Pyne, Ian Hooks and Dennis Sheehan, and WUF Trustees/judges Jessica Stewart and Ginny Malley. 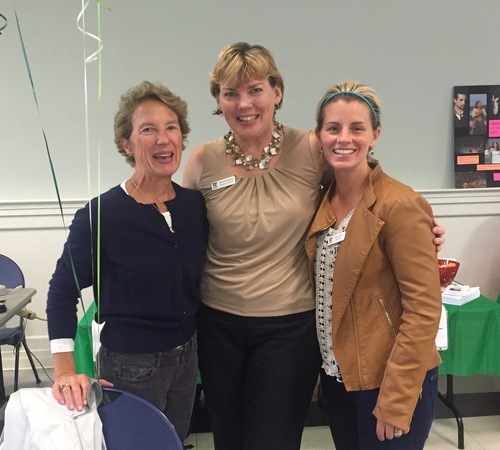 This year's Annual Meeting was held at the offices of our local Girl Scout Council, Heart of New Jersey, on May 16th. We thanked our retiring trustees for their many contributions to the WUF over the years. We will miss you all! 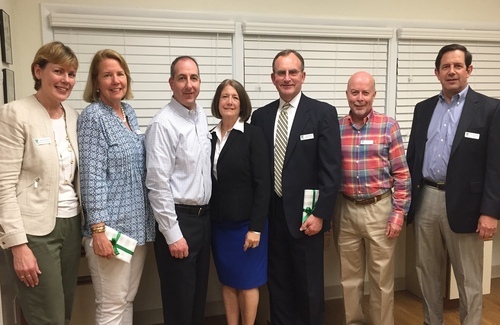 Pictured (l. to r.) are Deirdre Gelinne, Executive Director; Bernadette Houston, Dave Tepp, Darielle Walsh, John Schmidt, Jim McCabe, and Rick Malacrea, President of the Board of Trustees. Not pictured: Pete Echausse, Karen Heffron, Paul Zoidis. 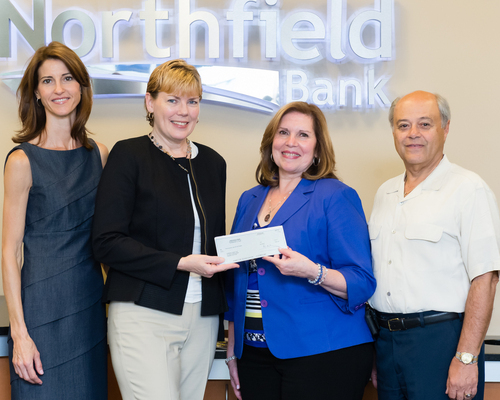 WUF Executive Director Deirdre Gelinne receives a donation from Maria Fuentes, Northfield Bank, through the Greater Westfield Area Chamber of Commerce's Wish List program, which pairs local businesses with non-profits. GWACC Board Member Stephanie Branna (left) and Executive Director Gene Jannotti (right) oversee the program. 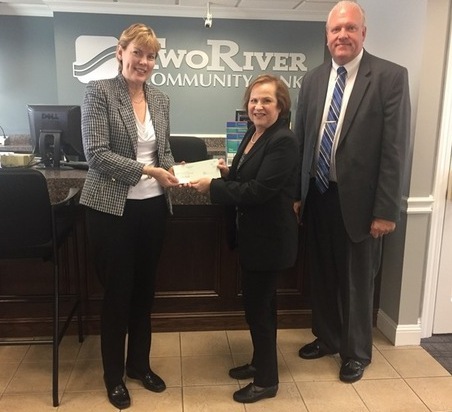 Executive Director Deirdre Gelinne receives a check for our annual campaign from Two River Bank executives Jodi Weinberg and Jeff Schneider. 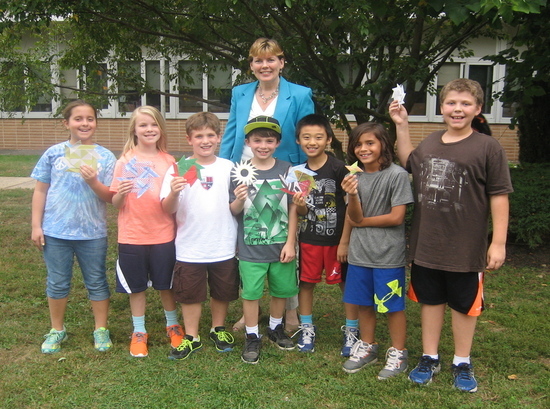 A group of fourth graders at Jefferson School who call themselves the Origami Club recently donated $155! As Cottler Vierschilling explained in a letter to the WUF, he and some of his friends at school wanted to do something to help people in our community. They had also become interested in origami, the Japanese art of paper folding, and enjoyed learning to make a variety of shapes. They decided to form the Origami Club and began building an inventory of different shapes, following the instructions they found on Youtube. They made about 350 swans, stars, etc., which they sold to classmates at Jefferson School, along with lemonade. 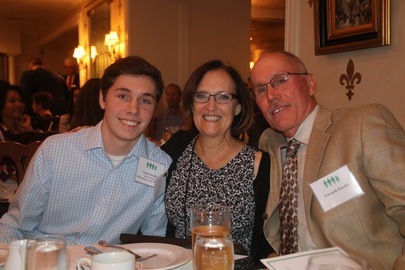 Cottler's parents suggested that they donate the proceeds to the Westfield United Fund, since we help lots of people in the community. This was our first donation from a kids club! It's wonderful to see a group of kids who care about others in the community, and take action to help. What a great example of compassion in action! Dad Bands United for Westfield! 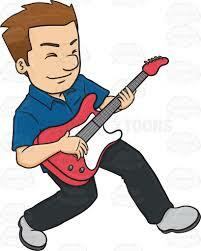 Many Thanks to Crossroads, Little Secret, Better Late & Save Mary for a great night of music! Sarah receives help from a teacher at the Homework Club, part of our After School Tutoring program. 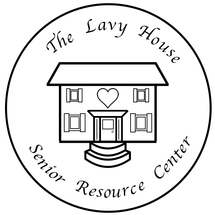 The Lavy House Senior Resource Center opened on January 1, 2016. Since then, monthly information sessions have drawn seniors and their families in to learn more about the issues that concern them. Recent topics have included: Making Your New Year's Fitness Resolutions a Reality, Managing Chronic Illness, Nutrition for Seniors, Community Resources for Older Adults, Choosing a Home Health Aide, Medicare 101, Alzheimer's/Dementia and Falls Prevention. 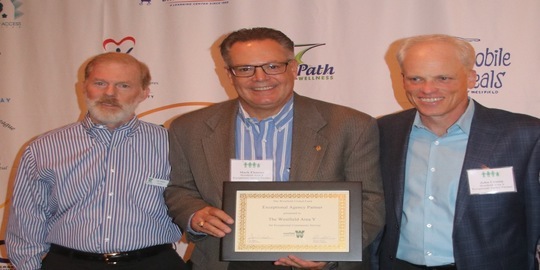 The presentations are coordinated with Jewish Family Service of Central NJ and funded by a grant from the Jewish Community Foundation of Greater MetroWest NJ. These programs are free and open to the entire community. 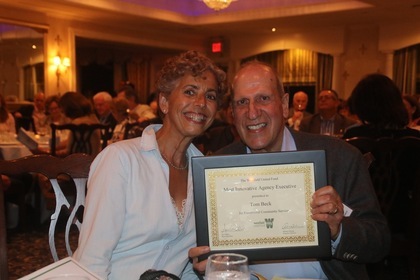 The Lavy House Senior Resource Center is a joint project of the Westfield United Fund, Jewish Family Service of Central NJ and the Congregation of Temple Emanu-El. It is located in the Dr. Norman Lavy Community House, 748 East Broad Street, adjacent to the Temple property. The purpose of the center is to provide free information about local programs and services for all seniors in our community and their families. The Center is staffed by a licensed social worker provided by Jewish Family Service of Central NJ through a grant from the Jewish Community Foundation of Greater MetroWest NJ on Tuesdays from 9:30am-4:30pm. Please call 908-389-1263 to make an appointment.